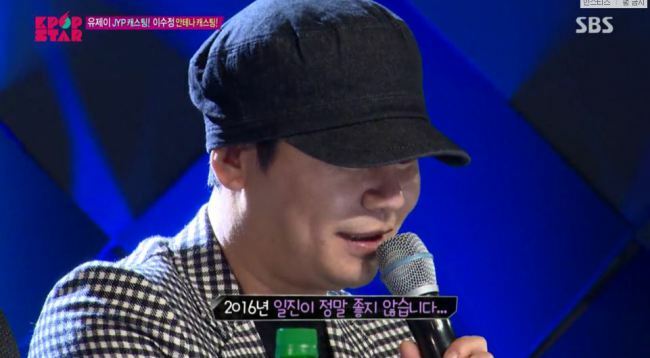 Yang Hyun Suk, CEO of YG Entertainment, recently joked the company wouldn't release any albums this year. Fans didn't believe it was a joke, taking to internet to express their worry. YG Entertainment and Antenna Music both took auditioners they were interested in during this season of K-Pop Star. During the broadcast, Yang Hyun Suk joked they weren't going to release any new albums this year due to the company being in a bad condition. "(Jokingly) There will be no YG singer album for a while," he said. However, fans didn't quite believe he was joking. why doe this not sound like a joke?